Worcester Wolves record consecutive victories in the league for the first time this season. 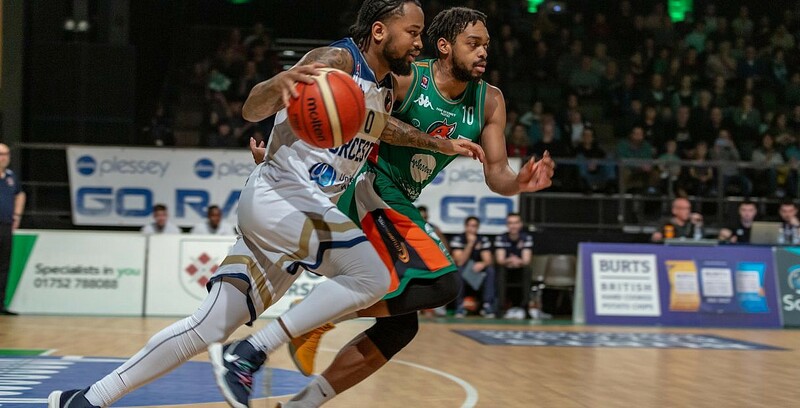 Worcester Wolves capped their best weekend of the season so far with a 91-74 win over Plymouth Raiders, on the road at Plymouth Pavilions. The results sees Worcester record their third league win of the season; the team’s second victory of the weekend under the direction of interim head coach Tony Garbelotto. Plymouth drop their fourth game in six league outings to slip to a record of 10-11 as they continue their push to end their post-season drought. Turning point – The Wolves turned the game on its head in the second quarter, holding the hosts to just nine points in the period. The away side took full advantage, pouring in 27 points of their own to establish an 11 point lead at the break. Key stat – Worcester shot the ball with incredible efficiency, hitting 54% of their attempts from the floor and 40% from behind the three point line. Game hero(es) – Freeman will take the headlines thanks to a game-high 25 points and 11 rebounds, but Prosper, Whelan, Navajas and Darell Combs all made valuable contributions by adding 10 points of more for the Wolves.